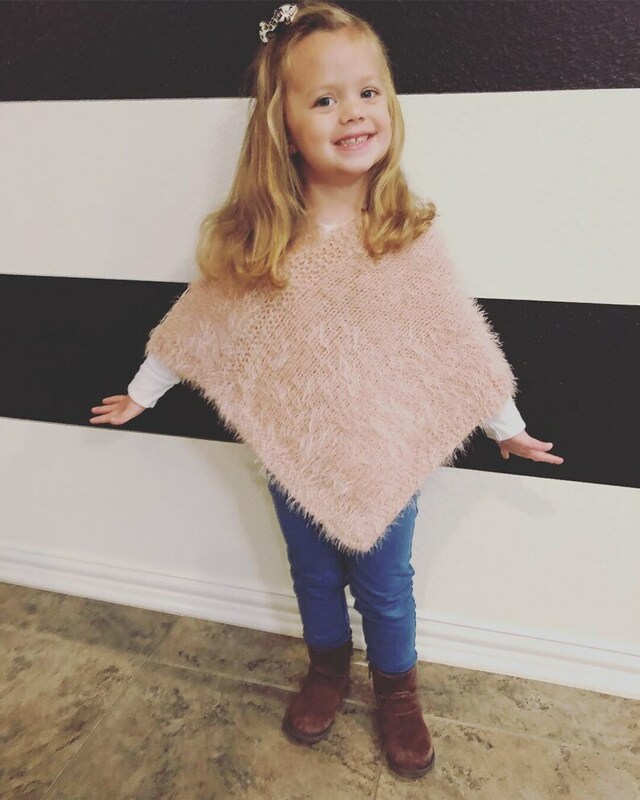 This is an adorable and incredibly soft little girl’s scripture poncho! It comes in two colors - blush or cream. The dimensions are 16 in. X 23 in. It’s 100% acrylic and fits sizes 3-6.